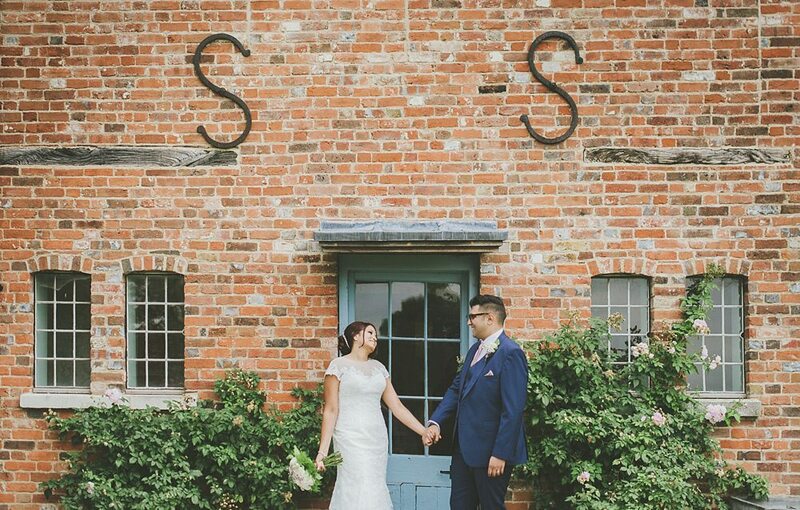 Micklefield Hall is definitely a wedding venue I’d like to photograph again. 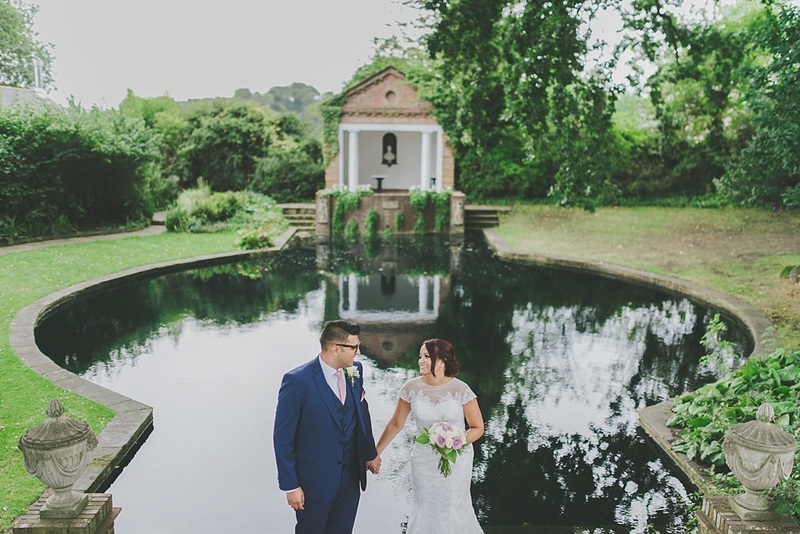 What a stunning place with its big beautiful barn and gardens, totally hidden away where you’d least expect it off the M25 near Rickmansworth. 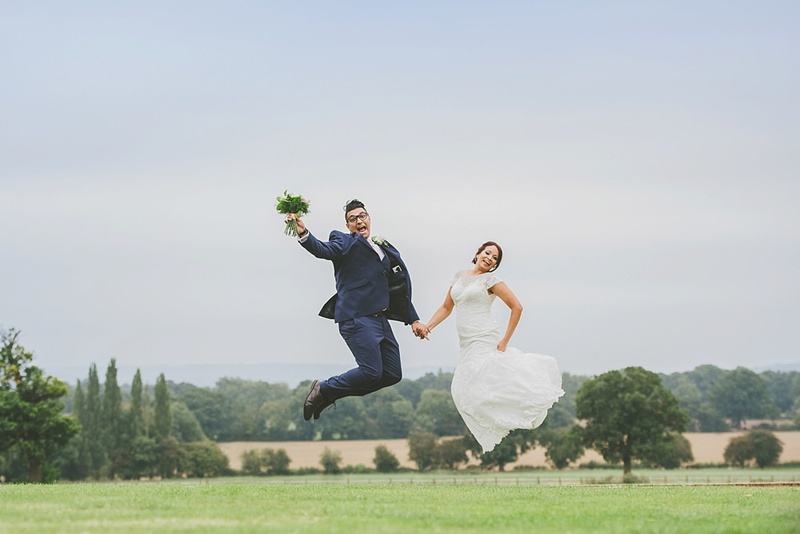 It’s always a joy to work with a fun couple like Sabrina and Timur, these two were so chilled about their wedding day everything felt easy and fuss-free. The morning began with a quick photoshoot in traditional dress and was followed by a swift outfit change and outdoor ceremony by the lake. It wasn’t an especially warm day but no way were these two missing out on getting married in this gorgeous outdoor location. 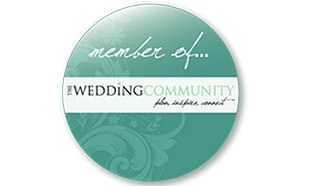 As Sabrina walked down the garden path towards the ceremony I spotted Timur shed a quick tear which is one of my favourite photos from the day – I’m sure you’ll spot it here. I was joined by second shooter Tom who helped capture so many natural moments.- With a venue like this I think it’s a great idea to have two pairs of eyes on things to get the maximum coverage possible. One of the things Sabrina was most excited about on the day was having a bouncy castle and I’m pretty sure the guests loved it as much as she did! 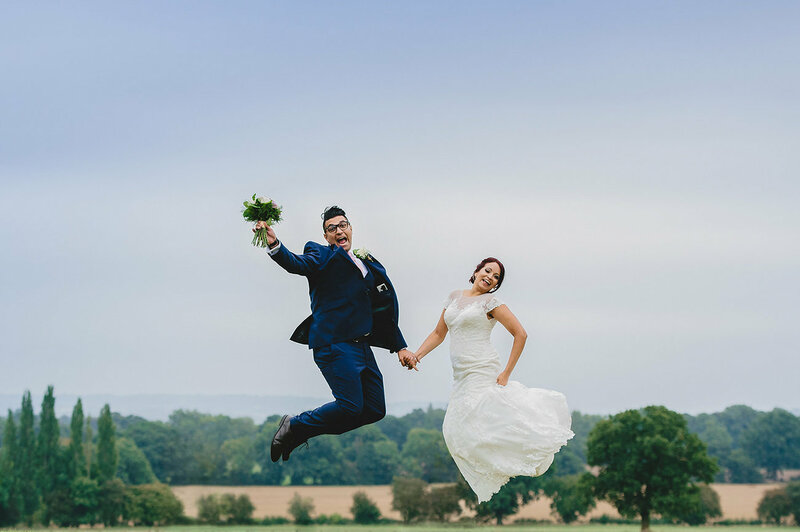 I really enjoyed photographing my first wedding at Micklefield Hall and would love to hear from you if you’re looking for a Micklefield Hall wedding photographer.